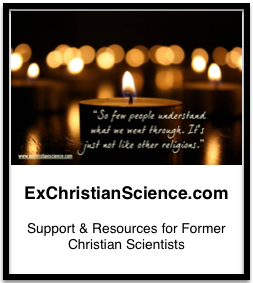 This is part of my on-going series of posts on Health Care for Christian Scientists & Former Christian Scientists.. Many thanks to D- for his insights! This is great information. Thank you for this post! That’s fine. 🙂 Thanks for stopping by!